It was just one week ago that we saw record shattering low temps . . . remember -19.5F (-35F with the wind chill) last Thursday in the Canaan Valley. Well, today we will see record shattering high temps. 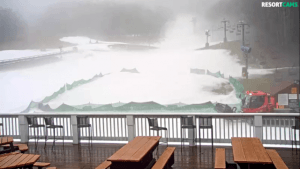 It’s expected to get up to 70F at Ober today. Regionally, that is nearly a 90 degree temperature change from the coldest resort to the warmest resort, within a week! It’s so warm that you can see the temperature differential on the webcams . . .
Luckily we can take this little taste of spring, in stride. The base depths are still very strong right now. Tomorrow evening, winter comes back with vengeance, as temps will dip back into the single digits in parts of WV. Believe it or not, it’s lining up to be a great weekend! Take the t-shirt challenge today and send us some photos! It’s t-shirt weather in NC, with hot mid-week deals. 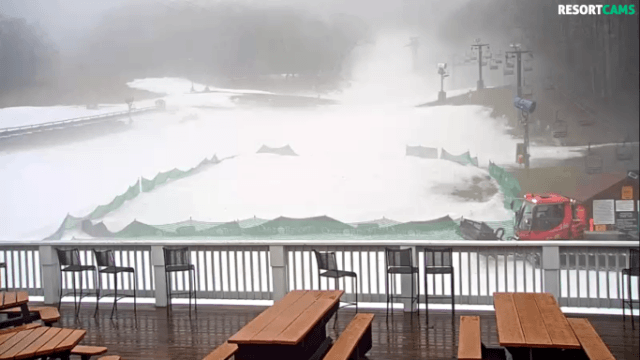 Cataloochee: 100% Open. 7am temp: 54F. High of 62F today. App: 100% Open. 7am temp: 56F High of 66F today. Terrain Park update: Features include whale tail, small, medium and large jumps. 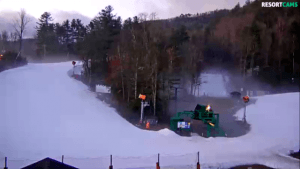 Beech Mountain: 14 (of 17) runs open. 7am temp: 52F. High of 59F today. Wolf: 10 (of 15) runs open. 7am temp: 52F. High of 62F today. Massanutten: 100% Open. 7am temp: 50F. High of 58F. Wintergreen: 24 (of 25) runs open. 7am temp: 54F. High of 58F. Bryce: 100% Open Terrain. 7am temp: 46F. High of 59F. Getting so warm that Bryce is beginning to promote summer activities on their FB page! Homestead: 100% Open. 7am temp: 52F. High of 62F. WV: Today is balmy . . . tomorrow is in the single digits! Snowshoe: 59 (of 60) runs open. 7am temp: 45F. High of 49F. Canaan: 25 (of 47) runs open. 7am temp: 49F. High of 52F. Winterplace: 25 (of 27) runs open. 7am temp: 55F. High of 65F. Timberline: 7am temp: 49F. High of 52F. Ober will see a high temp of 70F today! Ober: 9 (of 10) runs open. 7am temp: 61F. High of 70F! 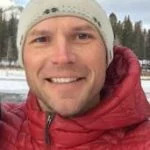 Previous articleOur Brad Panovich Named One of the Charlotteans of the Year!